Android Lollipop, the newest flavor in the plates of Android smartphone users is now out. Few smartphones have already been served by the latest dish and few are in queue to taste it, while some are far enough from the same. This time, Google’s green hypothetical being has come out with a completely new dish to be served. After creating lots of mysteries and riddles for its name, this biggest Android update christened Lollipop. So, after creating ballyhoo across web and everywhere, the Android Lollipop aka Android L (Codenamed at the time of Google I/O 2014 event) has finally begin knocking the doors of several mobile makers to update their smartphones with itself. But, one question jumps in my mind that why one would prefer the Lollipop, while KitKat is delicious enough to use and operate? What’s new inside which will make us to go for this? I tried to describe the features of this latest update at the time of its first announcement earlier in my past blog post when it didn’t receive any name and codenamed as Android L. This time, I want to present a broader view of the same with its name; no more codename! Here, I’ve penned out few ineffable reasons which will characterize Bells and Whistles of Android Lollipop excellently. If you are updating your smartphone with Android Lollipop, then its security feature will definitely relax you with its ability. It will protect your smartphone using following techniques. Now the question is, how all of them work? 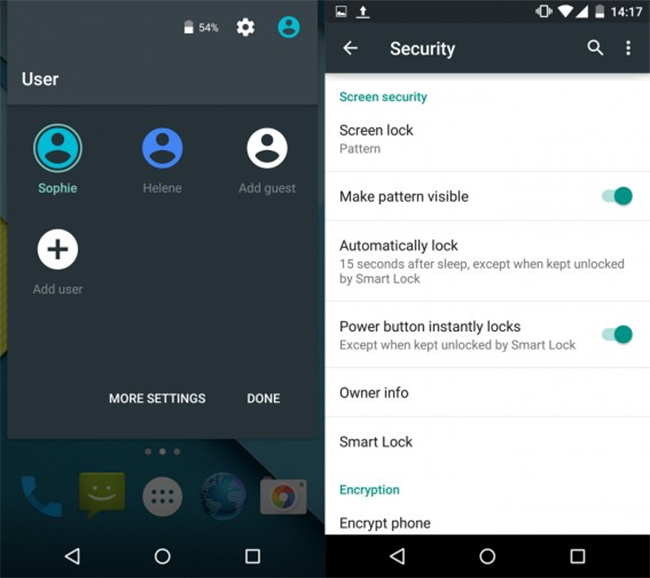 First off, the Smart Lock is a feature under Settings > Security. You can make any Bluetooth or NFC enabled devices a trusted device such as car stereo, smartwatch etc., by tapping Smart Lock on the same menu mentioned in above line. Tap Trusted Devices and then red plus sign to pair with any of your device. For all these, your phone should have pattern, password, or PIN lock, so that your device will remain in security when not in the range of trusted Bluetooth device. On the other side, Encryption is not a default setting for this OS. You have to enable it in system settings. The last is SELinux which works to protect the device from vulnerabilities and malware. Accessing the notifications has become easier in this new platform. The new flavor has given the notification panel a new taste. Now, you can access any notification direct from the lock screen. You can also set the priority for them as per your requirement. Simply, use the volume button of your device for turning on the Priority mode. 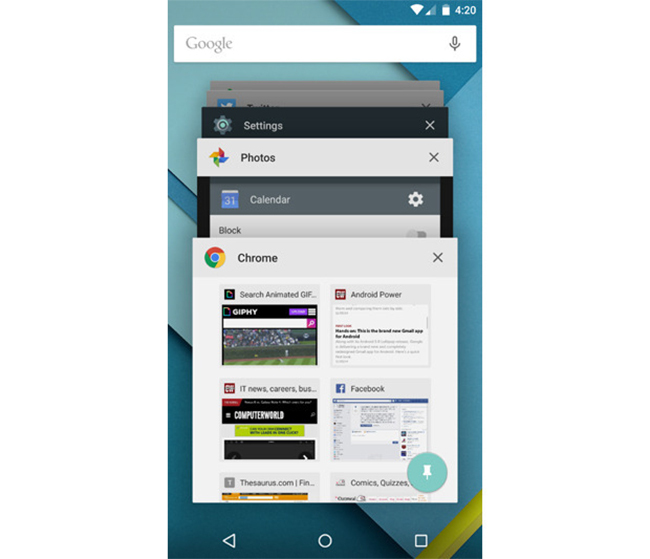 With Android Lollipop, leaving an opened app is no more a hassle, while you are swiping the notification. The app or game remains opened while accessing other through notification. Ignoring the particular notification like phone call, message is now possible at the time, when you are playing some game or accessing any app on your smartphone. You have two options when your phone rings; either to answer the incoming call or to dismiss it. What you will react when your smartphone with stock Android will run like a long-race-horse? 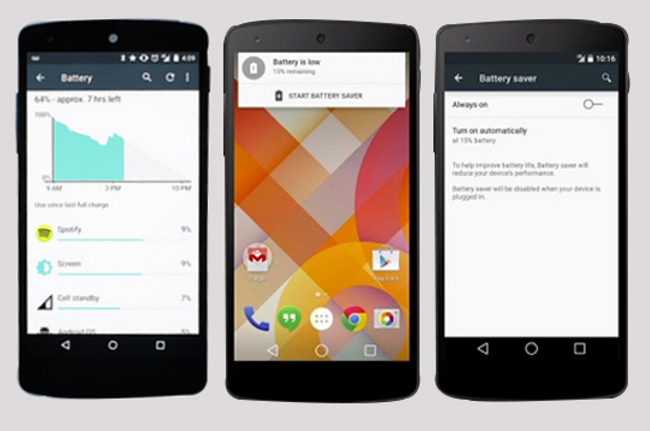 Google has put its all efforts to make the Android more powerful and energetic by offering battery saving mode. A Battery Saver mode will bless your smartphone with extra juice of 90 minutes. You can also check your battery status at ‘Battery’ option under ‘Settings’. Android 5.0 tells you the estimated time left for your smartphone to charge, and also provides the estimated time left for completing the charge when device is plugged-in. 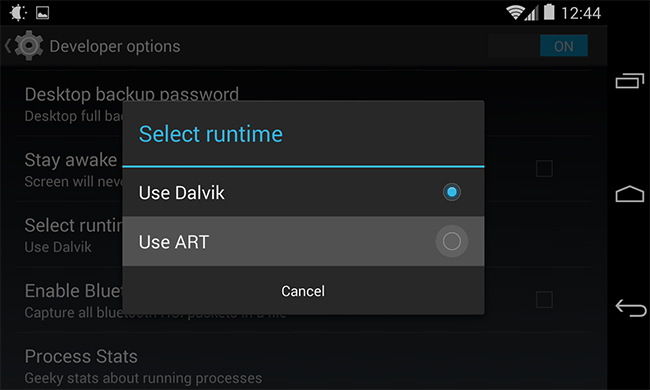 Replacing its default Dalvik runtime, Google has added new Android Runtime ART for more powerful and efficient computing purpose. Android Lollipop with ART has the capability of enhancing the performance much better than the Dalvik’s. Graphics are also improved with smooth interface. 64-bit processor with ARM, x86, MIPS has the ability to make it much better than the earlier. 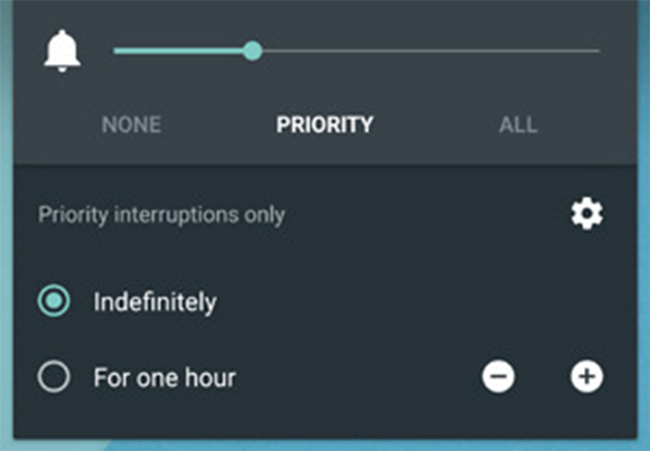 Android 5.0 Lollipop has added a slider in its Quick Settings for controlling brightness, screen rotation, built-in flashlight, and many others. You can check the data usage also and can on/off the Bluetooth and Wi-Fi, direct from the Quick Settings. Feature of automatic brightness adjustment is replaced in the new Android platform with Adaptive brightness. So you can adjust the brightness manually as per your surroundings. This time, Google has brought the feature of device sharing specially for your friends and family. What are the features for the same which let you to update your smartphone with the latest flavor? 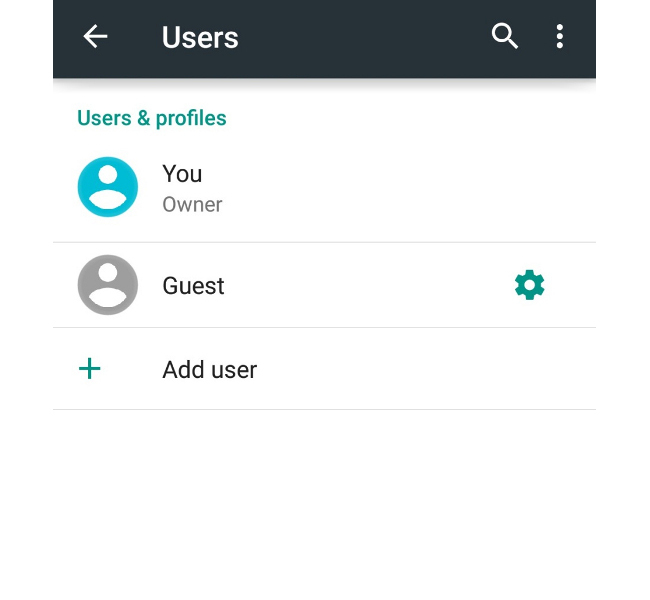 Guest Mode: If you often let someone to use your smartphone, then this new sweet dish will sweetened your relation with your friends and family by providing the option of “Guest Mode”. Simply swipe the notification menu, then tap the circular person icon on the top right side and create a guest profile. 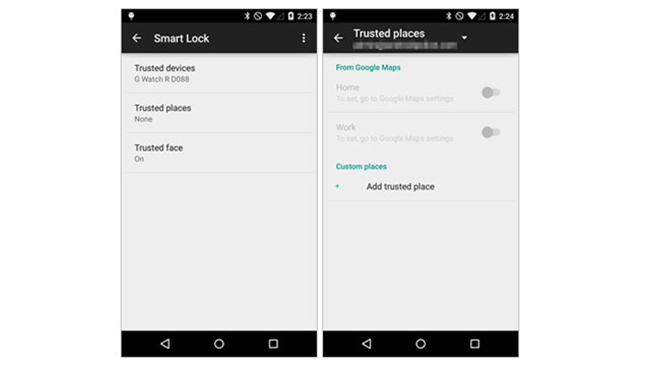 It will keep your apps, photos and contacts separate from them when the device is in guest mode. Tap & Go with Android Beam: To better understand the feature, I’m trying to explore the idea behind this concept through an example. Suppose you want to share an image from your device to another device without using any Bluetooth or any other long process. Here is the Android Lollipop which has brought a new Android Beam that uses NFC for transferring links, images, contacts, directions, and YouTube videos.Well, come to the example again, to send a specific image, click on the image and tap on Share icon. A list of options is available for sharing purpose. Choose Android Beam option. Bring another Android device which supports NFC. That’s it; enjoy the wireless transfer of image from one device to another in less time. Pin your apps with Screen Pinning: If you don’t want that your friends and family can see any other stuffs or personal stuffs while using your smartphone, then Screen Pinning option is available under Security option of main System Settings. It will pin the selected apps on your smartphone screen. After this, any other user cannot see anything else except pinned apps. They can’t even go back to the Home screen also. OK Google! The well-known name and feature for Android device is also giving its services in the Android Lollipop powered devices. But, it is also improved with new capability. 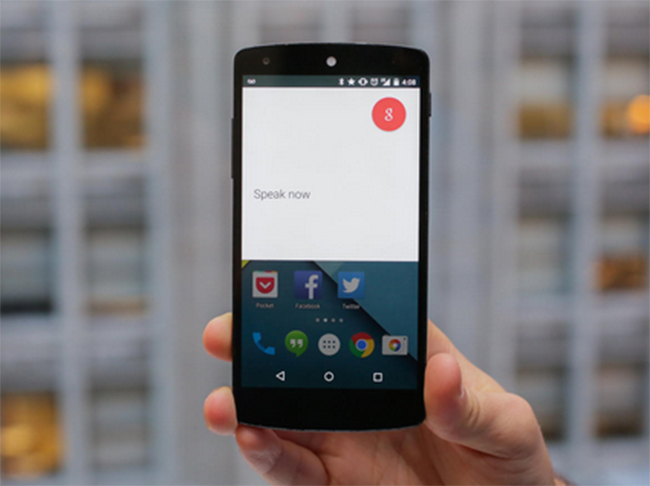 With Android 5.0, user can send voice command from anywhere and anytime. No need of the device’s display to on. You can also use the Google Now from any screen and any opened app. The most addictive game Flappy Bird is no more alive on Google Play store. So, Google has decided to give it the wreath, by making a clone of this game and named it Easter Egg in Lollipop. 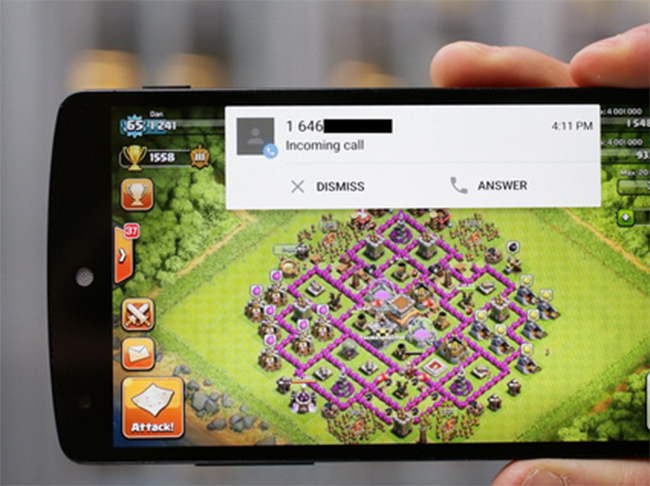 Adding this game, Google has tried to add more fun while serving the new dish in both older and new devices’ plates. To play this game, simply go into the ‘Settings’, tap ‘About Phone’ and then ‘Android Version’. A delicious lollipop will take place on your smartphone screen. Just tap it once, and it will change the flavor of the Lollipop with different color. And for playing the game, tap the picture of it five times and long-press the graphic. The wonders will never cease, it will open the Flappy Bird like Android game for you to play. There is no end for describing the miraculous features of Android Lollipop. Binding the whole new taste in a single blog seems judgmental. Besides, I’m trying to explore few more meticulous and miraculous features in few words. There is an option of inverting colors through Accessibility Settings. Contrast of the text can also be set via the same settings. If your smartphone’s battery is in last stage, opened apps will remain in Overview menu for easy accessing. A search option is also there to help in finding Settings related options. You can enjoy the new flavor with your living room devices like Android TV which take the benefit of Google Voice Command also. You have seen plenty of new and improved features of this latest Android platform above. After reading all these, you can easily acknowledge that how much capable is the new Android and how much sweetness the new flavor can fill in your smartphone. Here, I have tried my best to summarize all the features of Android 5.0 Lollipop and to justify them appropriately. What you feel for it and what’s more you want to see in its features. Please share your views with us in comments.